Congratulations to the Tyne Bridge Harriers who ran in today’s Park Run. 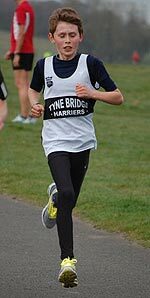 Dave Young put in a sterling performance to run sub 21 mins less than a week after a killer marathon, Young Leodhais Macpherson smashed his PB with a fantastic run of 21:38 and Lisa Walker showed that she is a return to form with 22:24 for the 5K. Some excellent times in ideal running conditions. Let’s hope for similiar next weekend. Well done Leodhais.. looking forward to getting the parkrun GP underway on saturday.